As I crossed the Arkansas state line into Tennessee, I queued up “Memphis” by Johnny Rivers on my car stereo. 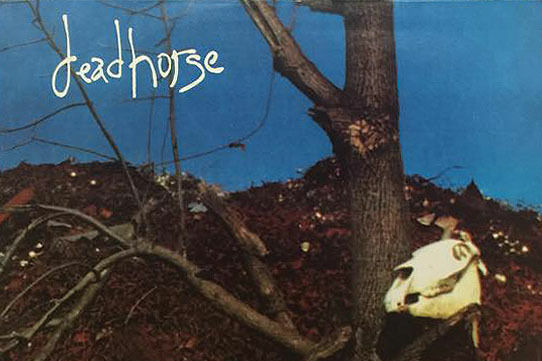 I hoped the song might put me in a good mood in spite of the speed trap ticket I’d just received from a Arkansas state trooper in a one-horse town with more police than residents. I passed a giant chrome pyramid as I turned south for Graceland, my first stop and wondered if there was anything to see in Memphis besides Elvis. The answer, I quickly found: You can bet your peanut butter and banana sandwich! Memphis is an exciting city with lots to do. After we did a power tour through Elvis’ estate, we headed straight to The Peabody. We were on a mission and only had 20 minutes to get there. The famous Peabody ducks were marching at 5 p.m. and they were not going to wait for us. The Peabody Hotel was built in 1925 after being moved from its original 1869 location and, as kind of a joke in the 1930s, the general manager and a few of his hunting friends put some live ducks in the fountain of the hotel. The birds were a big hit and thus began an 80-year tradition. In 1940, the bellman (who had worked as an animal trainer previously) taught the ducks to march. Almost eight decades later, the crowds still gather to watch the ducks march out of the fountain and into the elevator to their rooftop penthouse. You can also catch the ducks at 11 a.m. when they first arrive at their fountain. There were hundreds of people lining the upper balcony and filling the entire bar and lobby to witness the spectacle. The show is short and sweet and much of it is a monologue explaining the history, but the ducks are damn cute. Is Gus's fried chicken the very best anywhere? It might well be. Image: f11photo / Shutterstock, Inc.
Across the street from The Peabody is a hamburger joint called the Kooky Canuck. You might have seen it on Man vs. Food when it was still called The Bigfoot Lodge. The restaurant seems fairly ordinary when you sit down, but its claim to fame is the 12-pound hamburger—and that's just 12 pounds of meat, mind you. Once you’ve added the sides and condiments, the hamburger weighs almost 25 pounds. We ordered the Kookamonga, which was no slough itself: almost eight pounds with toppings. If you can eat the burger in less than an hour, with no outside help, you get your food for free and your photo on the wall of fame. It took the kitchen an hour to make our burger and though we split it, the two of us couldn't even get through half. It’s just as well, though; the hamburger is 12,000 calories. 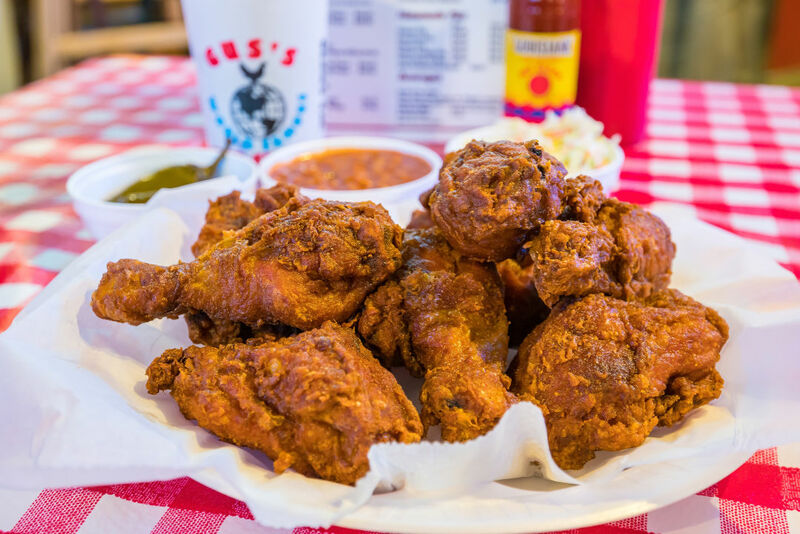 If beef isn’t your thing, a 10-minute walk takes you to Gus’s Fried Chicken, considered by many to be the best fried chicken in the world. It’s a simple, unassuming place that reminded me of Johnny’s Poboys in NOLA at first glance. The chicken is fantastic and the line to get in attests to the diner’s popularity. If you don’t believe me, open Google maps and type in “Gus.” It’s the first destination to pop up regardless of what city you’re in at the time. The former Lorraine Motel now houses the National Civil Rights Museum. Image: Pierre Jean Durieu / Shutterstock, Inc. If you didn’t know any better, you might think that the nearby Lorraine Motel was an old-school motel that suddenly shut down. The parking lot is bare except a couple of cars from the '60s parked outside. There’s a creepy Twilight Zone aura since it looks 50 years out of place with the rest of the area. But the truth is that the motel is now the home of the National Civil Rights Museum. It’s no accident the re-utilized inn was chosen for that purpose: The Lorraine is the very motel where Dr. Martin Luther King was assassinated on April 4, 1968. The museum follows the historical timeline of African slavery to present day with multi-media presentations and various artifacts. 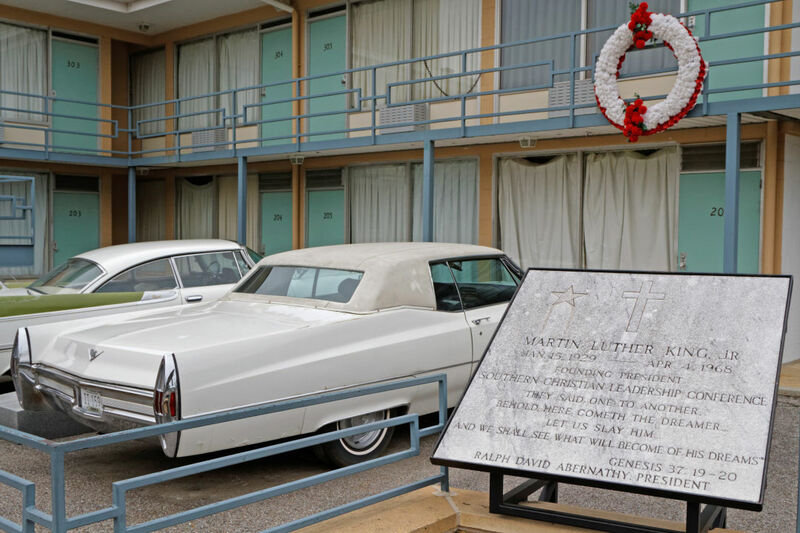 The original interior of the hotel was replaced entirely by museum exhibits except for the rooms that MLK and his party were staying at when the shooting took place. The motel rooms feature the furniture and amenities of the time so that one can imagine what the world was like back then. It’s a powerful location and and is well worth a visit. The Memphis Pyramid now houses the world's largest Bass Pro Shop. Image: photosounds / Shutterstock, Inc.
I’m not normally the kind of person who hangs out in sporting goods stores, but the largest Bass Pro Shop on the planet is a tourist destination in itself and it’s right in the heart of Memphis. The 10th-largest pyramid in the world houses the giant retail shop but was originally built in 1991 as a sports arena and later used by the Memphis Grizzlies. 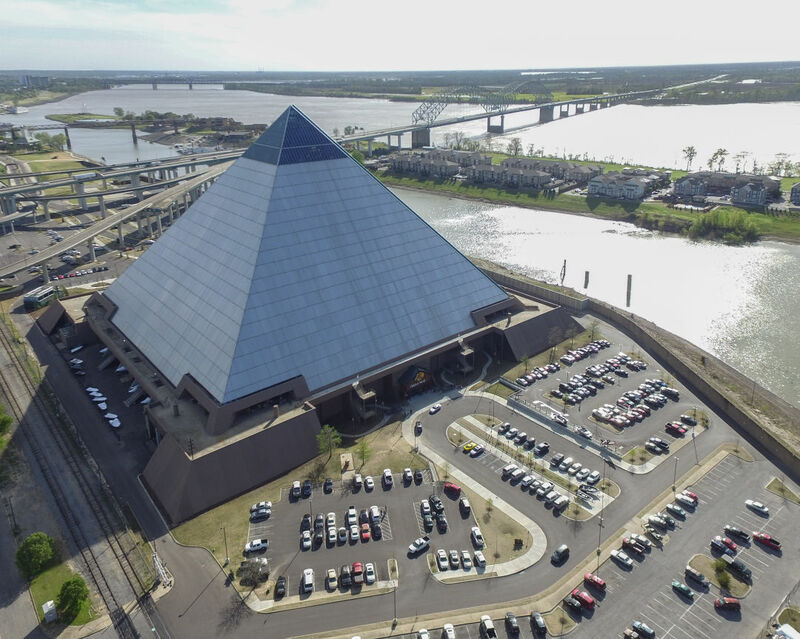 The Memphis Pyramid sat vacant for 10 years until Bass Pro turned it into their flagship store complete with a bowling alley, hotel rooms, restaurants, aquariums, alligator ponds, and … the list goes on. It’s an experience that blends retail with an outdoor lodge that must be seen to be appreciated. For $10, you can take the elevator to the apex of the pyramid (something you certainly can’t do in Egypt). You can make your own custom sunglasses, check out the waterfowl museum, or just marvel at the amazing job that someone did in transforming a former sports venue into a Louisiana swamp. 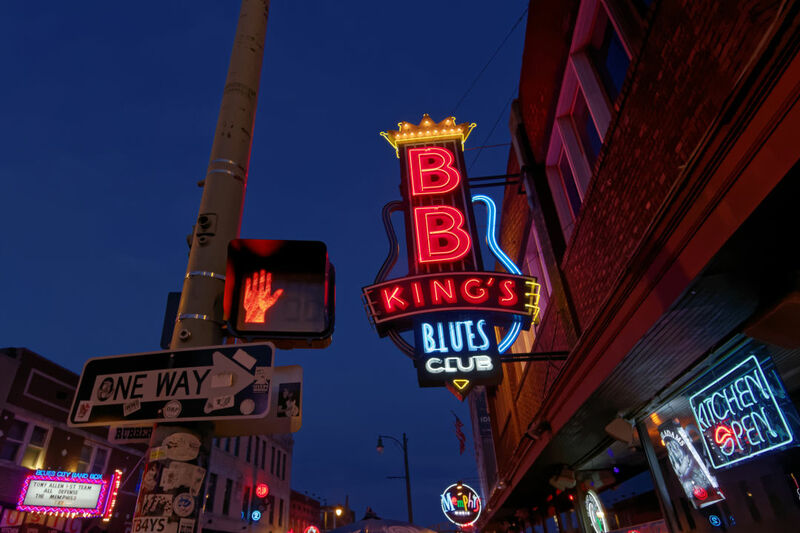 Visit BB King's club on Beale Street. Beale Street is the place to go if you want to experience Memphis nightlife. It looks like a miniature Bourbon Street at first glance. 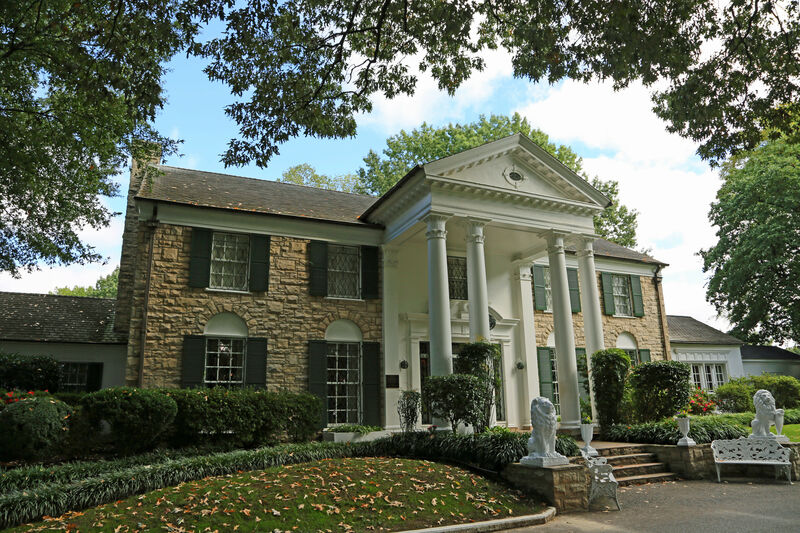 The tourist area only spans a few blocks, but it’s full of shops, bars and little eateries — and it also just happens to be where Elvis used to hang out. Memphis is the birthplace of rock 'n' roll, after all, and the R&B played on this little street shaped the music we listen to today. BB King and other local artists created the genre now known as the Memphis Blues and Beale Street has become officially known as “The Home of the Blues.” If you love music, the city has plenty of iconic spots to visit that are connected to Beale Street in one way or another, including Sun Records, the Stax Museum, the Memphis Rock 'n' Soul Museum and, of course, Graceland. 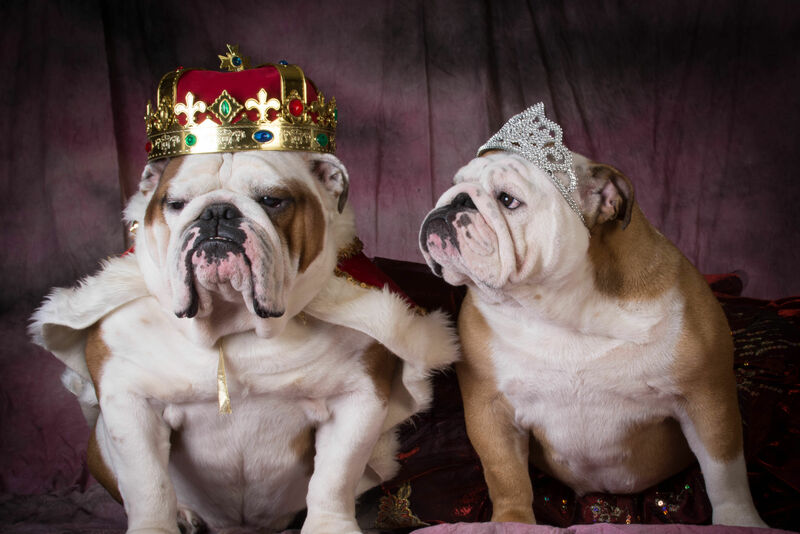 You could say there have been three famous “kings” who shaped Memphis: Elvis, the King of Rock and Roll, BB King and Martin Luther King, all of whom had an enormous influence over our nation's history and music. 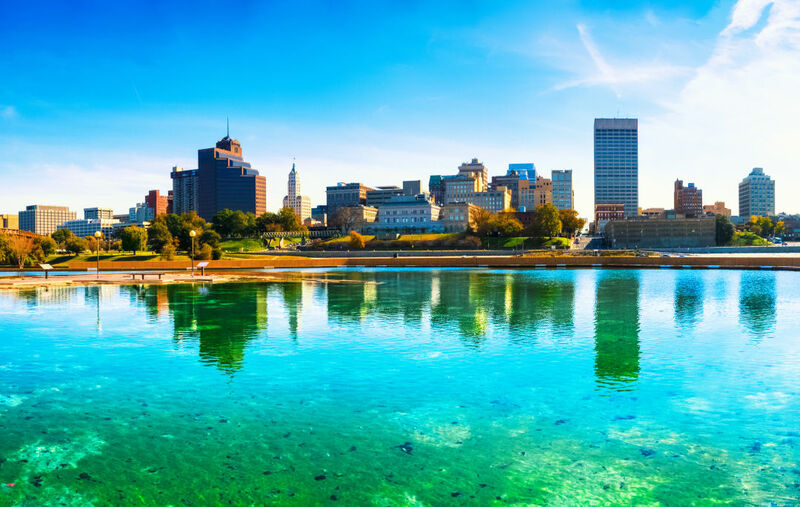 Visit the marvelous city and see for yourself.